While Visiting the El Paso County Fair, check out our Holden House Stimulus Specials to make your stay more affordable for a “Fair-Weathered” fun getaway! This year’s 104th Fair is proof of a great public-private partnership to entice rural and city dwellers alike to visit the El Paso County Fairgrounds in Calhan. It’s a demonstration of El Paso County’s western heritage combined with fun activities for citizens of all ages and interests. The El Paso County Fair began its long-running history in 1905, when people originally arrived by covered and conestoga wagons, surreys (with and without fringe), and on horseback, to gather at the first fair held in Calhan’s little country schoolyard – a Thanksgiving festival held by the farmers to celebrate a bountiful potato harvest. The celebration was simple then – a potato and bean bake with joyful, improvised entertainment, and horse races. While the potato bake is but a fond memory, many events will take place from July 18-25 with major El Paso County Fair sponsorships being provided this year. The El Paso County Fair fun begins on Saturday, July 18 with a special announcement at 3 p.m. from our 2009 Fair Queen, Dayna Jenkins, and a welcome by the El Paso County Board of Commissioners and Fair Advisory Board. The events will continue for eight complete days. During the 104th anniversary of the Fair, you’ll enjoy favorites such as 4-H culinary, arts, crafts and animal exhibits throughout the week. You’ll see appearances including Reptile Adventures with an educational show and Bear Mountain. On July 18 Opening Day is Military Day and all active duty military get in free. You’ll want to stop by the Dance Tent for ventriloquist Michael Harrison’s show or experience the antics of the Gold Canyon Gunfighters, and later, watch the Auto Races in the Rodeo Arena. 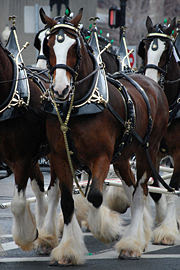 Family Day will take place on July 19, welcoming the Budweiser Clydesdales and the grand entry of the Wagon Train, our fair queen and her lovely counterparts from neighboring counties before the evening’s Rough Stock Rodeo. Perhaps music and dancing is to your liking? Well, you’ll find live music in the dance tent almost every day. Throughout the fair, you can visit more than 50 vendor booths, buy an all-day pass for the Carnival rides, participate in educational nature programming, and meander through the Owens Livestock Arena to see goats, sheep, rabbits, pigs and cattle. Each day you’ll find new and continuing events, educational opportunities, food vendors, entertainment and exciting displays with a variety of appeal for both city dwellers and country folk. Military Day, Family Fiesta Day, Furry Friends Day, Youth Day, Dollar Day, Heritage Day, Senior Day and American Heroes Day where special community members will be honored. This will include a special visit by Wings of Blue, complete with an American flag display in the Rodeo Arena. In fact, every day of the Fair has a special designation, some with discounts. General admission prices are reasonable, ranging from only $3 to $7 with children 3 years old and under free. And, back by popular demand, parking will provided free of charge. This year looks to be the best ever. Whether your interest includes beekeepers, rodeo, auto and bike races or demolition derby’s, 4-H shows or model trains, this year’s Fair has everything from the traditional to the new-fangled. It’s your chance to take part in El Paso County heritage in the wide open spaces of eastern El Paso County in Calhan. Come celebrate and join us for old-fashioned fun and experience a flavor of the old west with new fangled entertainment. Join the stampede! This entry was posted in 4H, budweiser clydesdales, colorado, El Paso, Fair, gunfighter, hike, horses, mines, paint, parks, rodeo, wagon train by admin. Bookmark the permalink.